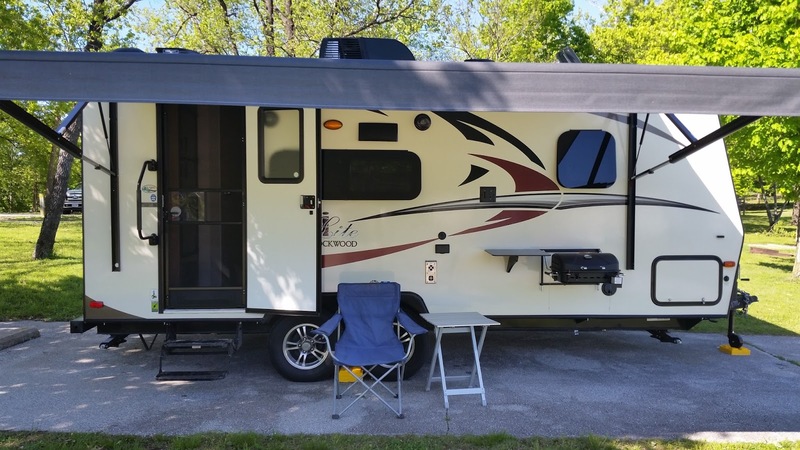 When I headed into southern Missouri I originally planned on staying at the Escapee's Turkey Creek Village campground in Branson. They always had space for me in the past so I didn't bother calling ahead for a reservation. The campground there is on Turtle Creek which is normally a placid body of water, key word in this sentence is "normally", because southern Missouri had been undergoing severe flooding and Turtle Creek was no exception. As I pulled up to the Escapee's driveway there was a chain stretched across the driveway and it was evident the permanent residents had evacuated the Village which was a good thing as half the campsites were under water. 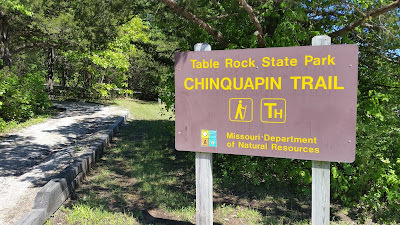 In the four years I've been full-timing one thing I've learned is to stay flexible, so I searched Google Maps for "state park near me" and luckily Table Rock State Park was only five miles from the Escapee Village, so I drove there. The trail head for one of the two main trails at the park. 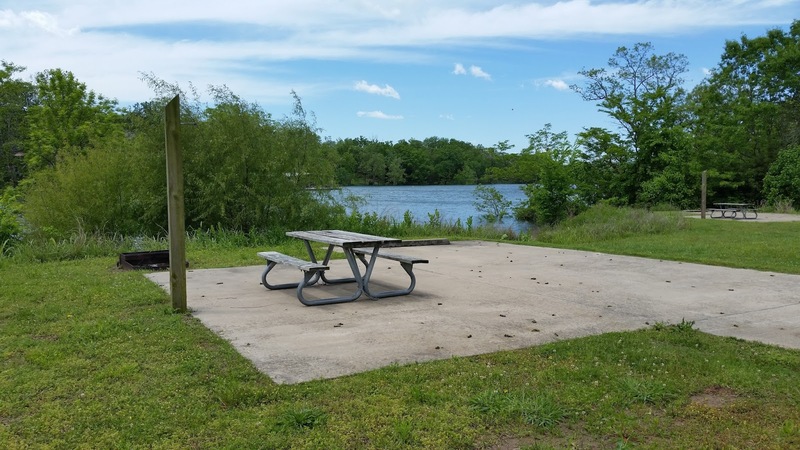 Typical Table Rock campsite with a water view. The rains had finally moved on during the last couple days of my 3 day stay at Table Rock so I got a chance to deploy the Mini's awning for the first time. I'm actually using the gas grill in the picture more than I thought I would. 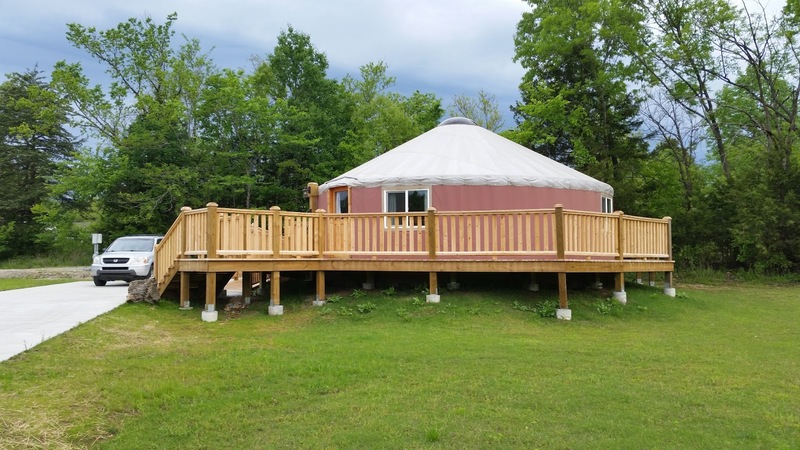 Along with campsites there was a rent-able Yurt for the campers who come to Table Rock sans RV. Nice deck! Would have been interesting to see inside. The park even has it's own outdoor amphitheater where rangers give nature talks (among other things). Shakespeare under the stars, anyone? Anytime I can stay at full-service state parks for under $20 a night I'm more than happy! Table Rock State Park represents some real value for what you get (I even did a load of laundry for $3.50 wash/dry!) and is another really nice member of the Missouri State Park system. 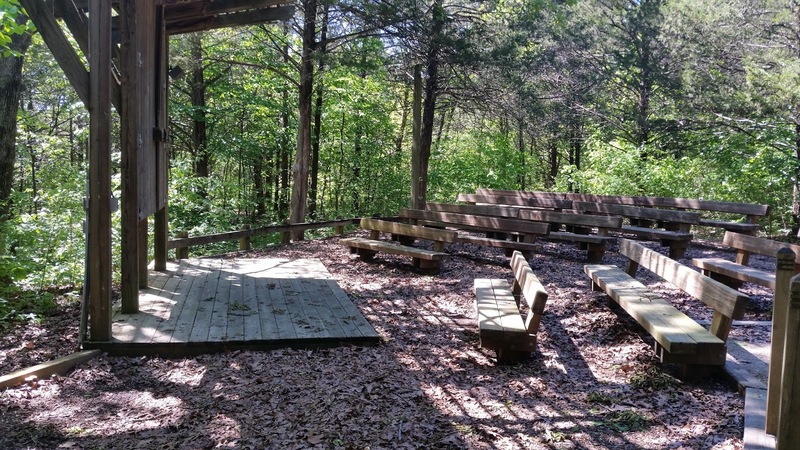 If you were visiting Branson for all the entertainment venues consider camping at Table Rock State Park as a low-cost lodging alternative.